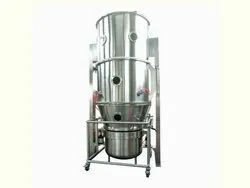 Our product range includes a wide range of fluid bed dryer. Urdhvaege India brings in one of the super finest Fluid Bed Dryer providing compactness and conventional principle of Air Fluidization for drying granules, crystalline, coarse or similar materials in Pharmaceuticals, Fine Chemicals, Dyes, Food & Allied Industries. The FBD – Granulator combines unique design with unmatched granulation performance.